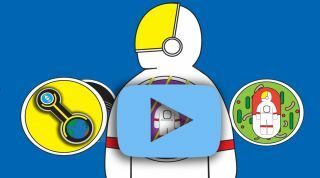 Space can be a dangerous place and a series of NASA videos outlines the biggest risks for astronauts. The cosmos may be be breathtakingly beautiful, but it can also be deadly to human explorers. While NASA and other space organizations have learned how to protect human life on relatively short missions, such as journeys to the moon and the International Space Station (ISS), scientists still need to study and plan for longer journeys through deep space. On a potential mission to Mars, for example, NASA's Human Research Program anticipates five main dangers to the human crew. That program studies and develops the best methods and technologies to support safe human space travel. Most people know that being exposed to too much radiation can make you sick, but the levels of radiation we experience on Earth are nothing compared to those that astronauts would be exposed to on the journey to Mars. Space radiation is much more harsh and damaging than the radiation experienced by people living on Earth. Even astronauts who live on the International Space Station, which sits inside Earth's protective magnetic field, are exposed to 10 times the radiation they would if they were back on Earth, NASA officials said in a statement and series of videos from the agency's Human Research Program. Anyone who traveled through deep space would be at much greater risk from radiation exposure. Outside of Earth's protective shield, radiation can increase cancer risk and damage a person's central nervous system (which would cause altered cognitive function, reduced motor function and behavioral changes), NASA's Human Research Program said. Other dangers of being exposed to such high radiation include nausea, vomiting, anorexia, fatigue, cataracts, cardiac disease and circulatory disease. That's why NASA is studying how radiation affects the human body and mind, so the agency can figure out ways to counteract the effects and keep astronauts safe as they travel through deep space. Not all potential hazards for long missions into deep space come from hidden dangers of the cosmos. Some risks are caused by humans, as well. When groups of people are confined in a small space for a long time, behavioral issues are inevitable, said NASA's Human Research Program. So, the astronauts in each group going into space together for long missions are carefully selected, trained and supported. Future crews chosen to go to Mars will be scrutinized even more closely, because they will travel farther and longer together than on other space missions and will be more isolated and confined. Scientists know that isolation can lead to a decline in mood, cognition, morale and interpersonal interaction, as well as the development of sleep disorders. NASA expects the trip to Mars to be mentally demanding, because astronauts will be expected to alternate between heavy workloads and periods of boredom. A lack of fresh food can add to the sense of monotony and give astronauts nutritional deficiencies, which can contribute to mental and physical illness. Confinement and isolation can also cause groups of people to miscommunicate. If astronauts travel to Mars, they'll go much farther into space than any human has gone before. The moon is about 239,000 miles (380,000 kilometers) away from Earth, while Mars is 140 million miles (225 million km) away. This means that once they're on the Red Planet, astronauts will have no way to resupply their resources. So, they'll have to be remarkably self-sufficient in order to survive, and the mission to the Red Planet will have to be meticulously planned out. Any communication between Mars and Earth will have a 20 minute delay each way, according to NASA's Human Research Program. In the case of equipment failures or medical emergencies, the crew will need to be capable of handling everything on their own. Food will have to be preplanned for the entire trip, and medicine will need to be provided for many potential problems. The Human Research Program is currently studying what kinds of medical problems may come up in space over the six months it would take to travel to Mars. That way, NASA can plan what types of procedures, equipment and medications will be needed, as well as what medical skills the crew will need. Astronauts who travel to space now perform ultrasounds to monitor how their bodies change in response to the off-Earth environment. And the Human Research Program is also testing ways to improve food formulation, processing, packaging and preservation so that nutrients remain stable for a long time, as well as ways to package medications and preserve their integrity on long-duration space missions. On the journey to Mars, astronauts will encounter three different gravity fields. The space travelers will start in Earth's gravity field, which is approximately 10 newtons/kilogram. They'll experience weightlessness during the six-month journey through deep space. And they'll live and work in a gravity field three-eighths as strong as Earth's while on Mars. Each time the gravity changes, the astronauts' bodies will have to adapt. According to the Human Research Program, changing from one gravitational field to another affects a person's hand-eye coordination, balance, movement and sense of space. It also affects the muscles, bones and heart. Without gravity, a person's bone density drops by 1 percent each month, because their body isn't working against the force. The Human Research Program has been studying the effects of spaceflight both on and off the Earth. The program monitors astronauts' fine motor skills, fluid distribution, fitness and exercise levels, vision, and responses to pharmaceutical medications. The crew chosen to travel to Mars will need to live, work and explore in all three gravity fields — on the way there, while at Mars and on the way back. It's no secret that space is unsuitable for humans, which is why astronauts need special spacesuits to survive outside of the space station. An astronaut's spacecraft also plays a huge role in keeping the explorer alive, because the temperature, pressure, light, air, noise and livable space inside the vessel all mimic conditions on Earth. NASA expects the eventual journey to Mars to take about six months, which means that astronauts' living quarters need to be comfortable enough to keep the space travelers both physically and mentally healthy. So, the living conditions in space need to simulate those on Earth as much as possible and encourage space travelers to stay active and motivated. Technology aboard current and future spacecraft will have to use limited resources well — turning astronauts' carbon dioxide into breathable air and their urine into water, for example — and also keep the environment comfortable. The ISS, for instance, uses an LED light system that was designed to mimic light on Earth. Technology on the space station also monitors the station's air quality to check in on the health of the astronauts. NASA scientists analyze blood and urine samples from astronauts, as well, to monitor their health and stress levels. In space, stress hormones are elevated, according to the Human Research Program, and this can alter a person's immune system and make them more susceptible to allergies and other illnesses. Space also makes it easier for microorganisms that live on your body to transfer from person to person. So, the ISS is swabbed to analyze the microbial population onboard. For future deep-space missions, like the journey to Mars, each of these hazards will have to be addressed to ensure astronauts can survive.